The Department of Horticulture, Lalbagh, and Bangalore Environment Trust have recently restored and catalogued a total of 1020 rare botanical paintings – water colour illustrations, pencil sketches, ink drawings and lithographic prints – drawn by several artists in the late nineteenth century between 1887 and 1949. The drawings had been created in an effort to document plants, trees and fruits found in or considered important for the Mysore Kingdom. The old drawings had weathered, faded and were attacked by silverfish. These have been now restored, scanned, catalogued and published in three volumes – two volumes of watercolour illustrations and a third is pencil sketches. The complete restoration and cataloguing of the paintings was done with the help of ARCH (Archival Resources for Contemporary History), an archival consultancy service of Srishti School of Arts, Design & Technology. “There are plans to exhibit these paintings”, revealed Dr S Aswath, the Joint Director, Department of Horticulture. “We are also planning an exhibition for botanical art sometime next year”, he further stated. Though the horticulture department did not mention, the published book attributes the finding and restoration process to Vijay Thiruvady, trustee of Bangalore Environment Trust(BET). It states that BET had initiated the talks on its revival and had been entrusted with the responsibility for this task. Permanent exhibition of some of the framed paintings in a hall in Lalbagh. These paintings can be rotated periodically for display and the rest can be stored in a temperature and humidity controlled environment. The scanned copies to be used for all practical work while the original should be stored professionally as stated above. The three volumes should be kept for permanent sale. These books along with a book on Lalbagh should be published and displayed for sale during the international conference on botanical art. A book on Indian botanical art that includes works from other horticulture centres such as Calcutta should be prepared. Currently BET is assisting the horticulture department on some of them. The paintings are currently stored in a few wooden cupboards and when i went to have a look, a professional photographer had arrived to photograph some illustrations with studio light setting! The harsh lights could undo all the work done so far. Clearly, the most urgent task is to create a suitable environment to store these illustrations. In 1799, Benjamin Hayne took charge of the gardens under the order of Lord Wellesley. Dr Heyne was a naturalist and a medical officer with the Topographical survey of Mysore. During the surveys, economic, demographic, botanical, geographical and cultural data had been collected. Botanical data was given particular importance as Wellesley himself had instructed Heyne to take charge of the Sultan’s Cypress Gardens and stressed that it should be turned into a botanical garden and developed “as a depository of useful plants sent from different parts of the country”. Botanical illustrations became very important with the publication of systems of botanical nomenclature in the eighteenth century. Heyne was naturally keen in training ‘native’ artists in identifying and illustrating characteristics of plants. Though none of the paintings of his period have survived, the illustrations commissioned by John Cameron, the Superindent of Lalbagh from 1874 to 1908 have survived. Though Cameron’s most famous contribution to the Lalbagh is the Glass house, his greatest is undoubtedly the collection of illustrations of the indigenous and other plants grown in lalbagh. He set up a post of an artist at the Gardens at a salary of Rs 25/- per month. Cameron, a classical botanist, trained in Kew Gardens felt the need to be involved in the geographical and cultural specificity of the environment at Lalbagh. Many of the illustrations are not just ornamental or flowering trees and plants from across the world, but also include local fruits and vegetables grown in India. The illustrations are as varied as the colourful Tabebuia tree from South America to the humble ‘Kothambari Soppu’ (coriander), a regular item from Indian kitchens today. The keenness to document local plants went hand-in-hand with an awareness of plants across the world. Due to the moderate weather in Bangalore, he introduced many foreign varieties, one of which is the chow-chow or “Bangalore brinjal”, a plant native to Middle America. Many of the illustrations have been drawn by an artist, K Cheluviah Raju and endorsed by John Cameron with some hand written comments in some of them. In early twentieth century, this botanical art, however, died a natural death due to the advent of photography. The last painting entered in this collection is 1949. Though the documentation became easy with photography, the illustrations capture not only the whole plants but also the plant parts in minute details besides the plant specimen. The published books excellently present a complete catalogue of the original botanical drawings with archival information such as botanical name, Kannada name, artist’s name, condition before restoration and any handwritten comments. The cover page displays a view of place as the Sultan’s Cypress gardens with Bangalore Fort looming in the background. The illustrations look almost real – as if an expert has cut a twig of the plant and placed it in the frame along with some parts like the seed, the flower etc for documentation. The leaves coming out of the frame have this exact effect. While there are plans to display the paintings to the general public, the steps have yet to be worked out. 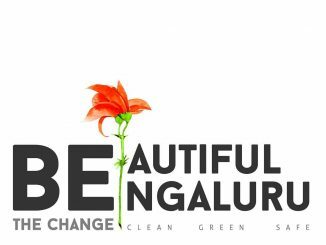 A Bangalorean visits the Lalbagh Flower show and finds much joy and photo ops.